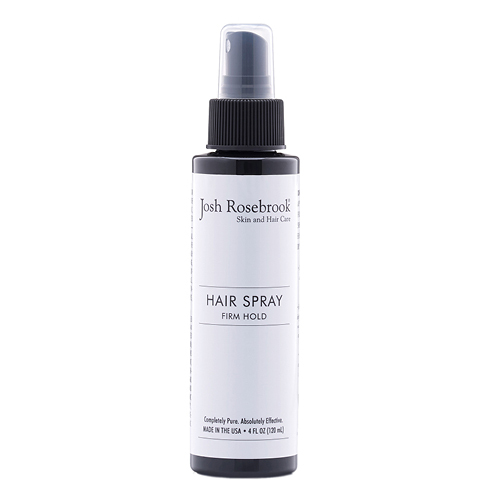 Josh Rosebrook's Firm Hold Hair Spray will change the way you think about styling. This lightweight hairspray, infused with mighty herbal extracts, gives flexible feeling hold and leaves your 'do looking tame and perfectly coifed. Non-GMO yucca and a cocktail of organic herbal extracts are not to be underestimated, for not only will this hair spray give you a feeling of soft and flexible hold, but it will offer a feel of nourishment to the scalp and hair shaft, creating the look of strong, beautiful hair. Hold about a foot's distance away from head and apply throughout hair in sweeping motions. Reapply as necessary.